Are The K-League Fit For Purpose? The title might sound a tad harsh to the casual passer-by in Korean football but for those of us who have invested years and our, sometimes, hard-earned Won into the game here it is becoming a question that needs asked more and more regularly as the K-League lurches from disaster to disaster. For the newer K-League fans out there this heading will of course conjure up images of Gyeongnam and Jeonbuk (more about them later) but the sad fact is that in my long years in Korea there have been allegations for almost every one of them. One of my most prominent early memories of watching K-League was having @korearacing explain why the players were ‘apologizing’ to the fans at the end of the match. This was in relation to the 2011 betting scandal which engulfed the game. The scandal’s origin were with two players, one from Daejeon Citizen and one from Gwangju FC who were involved in match fixing. The initial investigations would result in the arrests of several more players and prominent officials as it was revealed that the games, ranging from May to August, included all the K-League teams at that time. It truly was Korean football’s darkest hour, yet there would be more match fixing cases in 2013, 2015, 2016 and even currently in 2018 we have an ex-footballer in police custody for trying to pay for a player to receive a red card. Once is bad, twice is bordering of disgraceful when you hit 4+ it’s time to ask if the powers that run the game deserve to be in office. 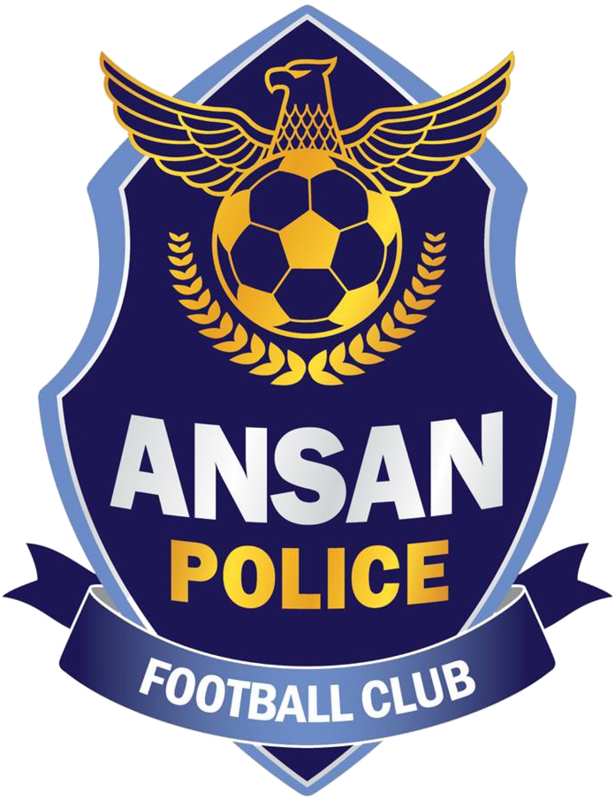 If the badge above doesn’t look familiar don’t fret too much as this is the badge of ANSAN Mugunghwa, the Police team before they moved to Asan. 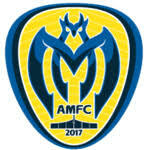 This is also the badge of the team which won the K-League Two in 2016 but were denied promotion, why I hear you ask? Well simply because the blazers of the K-league had never really thought about it before. In the final weeks of the 2016 season nobody really knew what would happen were the Police team to actually win the title, there were stories that a new Ansan FC team was to be formed to take their place despite having done nothing to deserve entry to the K1 as the players are all serving military service from their parent clubs. And so it was that basically up until the final couple of games confusion reined among fans and players alike. On the final day, Ansan won the title and Daegu FC took their place in the K1. In the weeks that followed Ansan Greeers were formed and the police moved to Asan and started anew. Confusion over and done with right? Surely heads rolled in the K-League boardroom and the likes of which would never be seen again! Ah, if only! In a bid to promote the development of Korean players the K-League has a strict policy on the number of foreign players that a team can register, namely the 3+1 scheme, 3 from any other country plus one from a federation country within the Asian Football Confederation. There is also an additional rule that teams may only field Korean goalkeepers in order to help the National team strengthen an often weak position. What could possibly go wrong I hear you ask, well despite the fact that so many teams seem to be sold ‘pigs in the poke’ Brazilians by unscrupulous agents the policy has been pretty much successful and well-implemented with the more recent conveyor belt of international class goalkeepers being a particular highlight….unfortunately all this would come crashing down in 2016 when it was revealed that there were a couple of players who’s nationality wasn’t quite what is seemed. The most high-profile of these was Gangwon FC midfielder Serginho who was registered under a Syrian passport despite being Brazilian. Serginho has since been banned from ever playing in the K-League and Gangwon fined 30M Won for the incident. His case was also the subject of an appeal by Seongnam FC in 2017 to have the result of their playoff defeat and ultimate relegation to K2 overturned as Serginho was on the field that fateful day in Tancheon. The term “clutching at straws” is well-deserved here as the appeal wasn’t launched until the 2017 K2 season was already well under way. Never ones to be far from controversy Jeonbuk Motors also had a potential ‘situation’ with their Syrian striker Eder, he was transfered as questions were being asked and has since signed for Seongnam FC and is registered under his Brazilian passport. Now while not directly the K-League’s fault the fact that it happened under their watch is reason enough to question how much value the integrity of the game they oversee. 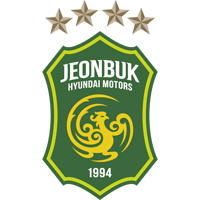 And that brings us to Jeonbuk and without doubt one of the most inept and shocking displays of poor management you will ever see. 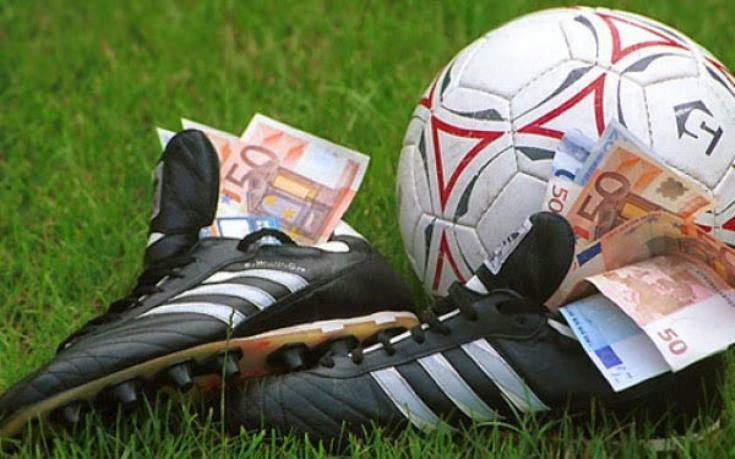 Jeonbuk were coasting through the 2016 K-League season when it came to light that one of their scouts had given money to referees to influence the outcome of games in the 2013,2014 seasons. Jeonbuk strangely never really argued their case merely claiming the scout was acting on his own and not on behalf of the club, this lack of a stern defence didn’t do them any favours and for most neutrals made them look guilty. The K-League were left with a relatively open and shut case, and decided to deduct them a total of 9pts for the games that were “influenced”. Simple you say, unfortunately this is the K-League and nothing is simple. Jeonbuk were leading FC Seoul by a country mile in September that season, and in fact were getting ready to play Sangju needing a win to seal their 3rd title in a row. In a ridiculous decision, the basis of which is known only to the K-League disciplinary committee members who made it, they decided to enforce the punishment with immediate effect. This was in direct conflict with the 15pts they deducted from Gyeongnam FC at the start of the season some 6mths earlier. It could be argued that the decision favoured Jeonbuk as they surely wouldn’t blow the remaining lead would they? Well yes they could and they did, losing the title at home to a Park Chu-young strike. The decision was correct but the timing was utterly baffling and left a sour taste in every fans’s mouths….well not those of FC Seoul who were the only team to benefit from easily the strangest decision in Korean football. Jeonbuk would go on an win the ACL only to be banned from defending it the year after. A dark day indeed but one that could have been avoided with proper management and Jeonbuk starting the 2017 season on -9pts. And that brings me to the final and most recent disgrace to hit the K-League and yet again it involves the Police and yet again it shows up a complete lack of leadership and transparency at the top of the game in Korea. The story begins with the decision to phase out the auxiliary police force in Korea which in turn means there will no longer be the sports arm of the force. This of course applies to not only footballers but also baseball players as one more outlet for sportsmen to complete their compulsory military service is chopped. The situation is, on paper, simple and clear for most to see. If the Police are to stop recruitment for their sports teams then they obviously cannot continue if they can’t meet the squad number requirements of the governing body. Where the main issue lies is with the K-League’s complete and utter disregard for it’s customers as the amount of news coming from those on high is similar to that of a totalitarian government akin to 1984. First we heard that the Police would be given until Oct 15th to present a solution, that deadline has passed but fans of Seongnam, Busan, Daejeon, Anyang, Suwon FC and Gwangju FC are no clearer as to what, if anything, their heroes are playing for. The precedent set with the Asan Police farce mentioned above would suggest that 2nd place (currently Seongnam) would gain automatic promotion ala Daegu circa 2016 but this has neither been confirmed nor denied. This then leaves the K2 playoff spots, is it still 2nd ~ 4th like before or is it now 3rd~5th? 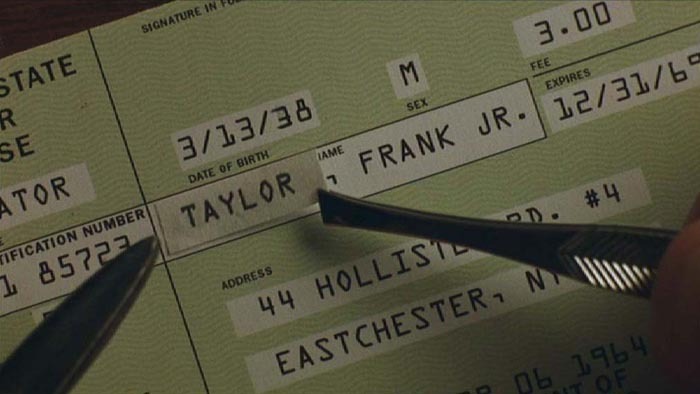 Do we know? Of course not as why bother informing anyone. The 2016 incident was laziness and a complete lack of forward thinking by an organization that is taking the game backwards, the 2018 incident is beyond unacceptable. The above list is, unfortunately, not the whole list of “mishaps” and poor decisions that have been in evidence over my time in Korea. We have issues like the continual allowing of teams to move games for glamour friendlies or even-more glamorous K-Pop concerts, we have the rush to implement a VAR system that was obviously neither ready nor fully tested. Throw in the farce this year with Bucheon playing their opening nine game away from despite no ground being broken on their “new stadium” and of course the complete and utter lack of TV rights package being sold. The K-League seems more interested in marketing their game to a ‘worldwide’ audience than a domestic one. I can’t imagine anything worse than watching a game of football on a shaky stream with nobody cheering on in the stands. A quick look at the attendances year on year would suggest the game in Korea is almost beyond repair, I fear many more incidents like chapter 2 of the Police will see it die forever.